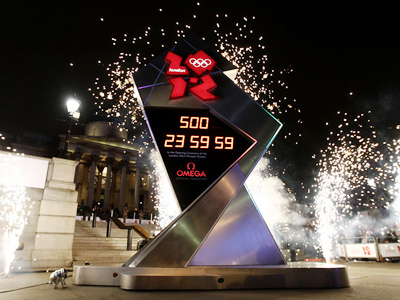 Olympic organizers have unveiled a countdown clock in London's Trafalgar Square to mark 500 days until the 2012 Games. The steel clock was unveiled by four British Olympic champions: rowers Pete Reed and Andy Hodge and sailors Iain Percy and Andrew Simpson. It is 8.5 meters high, 5 meters long and weighs about 4 tons. It was also Trafalgar Square where Londoners gathered for celebrations in July 2005, when the city was awarded the Games. 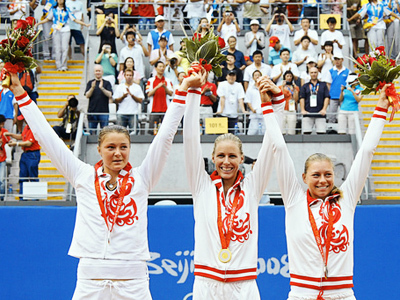 Tickets for the Olympic events went on sale on Monday. 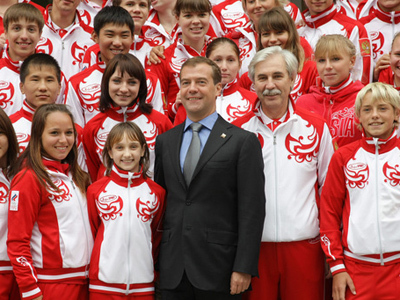 The 2012 Games will kick off on July 27 and will last until August 12, 2012.